The latest COACH collection is playing with the familiar. Traditional and authentic pieces modernized and made personal with the individuality of New York City. 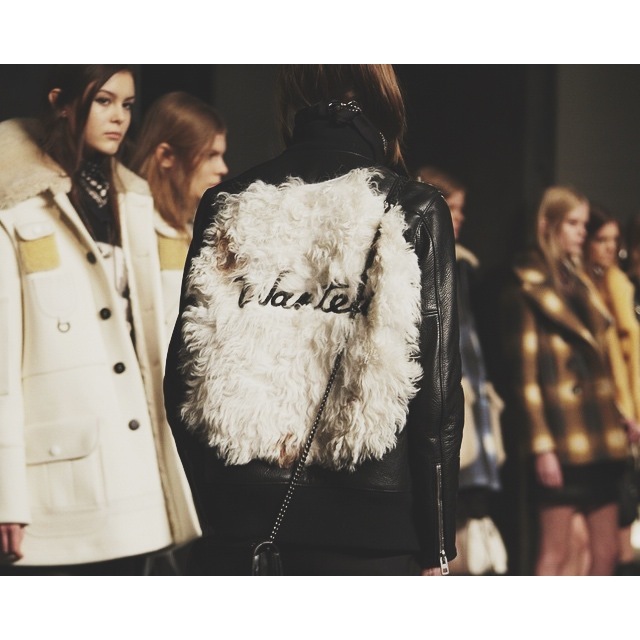 Becoming the normal, Stuart Vevers offered Shearling, bikers with Stars and Stripes, cutesilk bandana prints. This entry was posted in Trend Reports and tagged AW15, coach, fashion, fashion blogger, front row edit, New York Fashion Week, nyfw, stuart vevers, style. Bookmark the permalink.